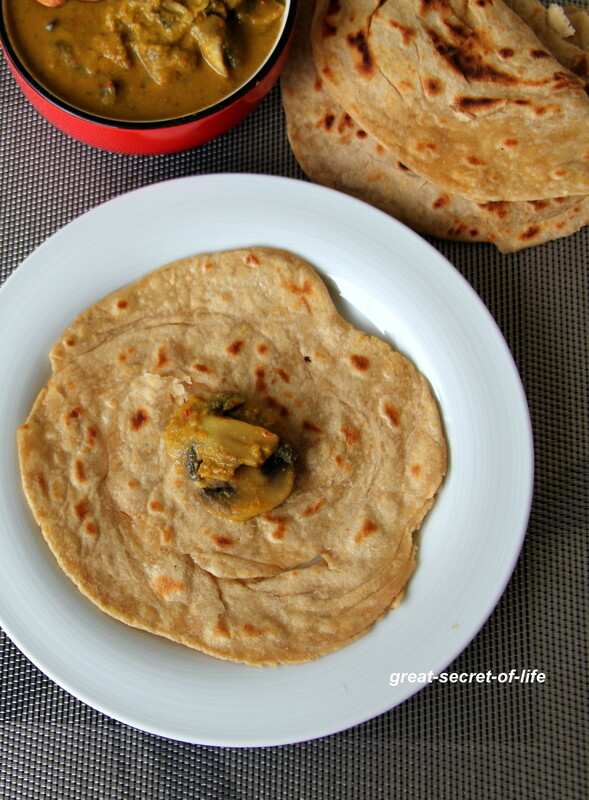 Parotta is something my kids love. Most of the time I do it with Maida. These days I am not eating food with refined flour as much possible. Other day I tried it at my friends house and it was with whole wheat. It is healthier compared to my usual one. So I have decided to try it. It came out nice. And kids love it. 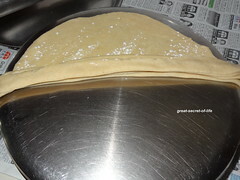 It is also perfect for lunch box as it stays soft for long time. 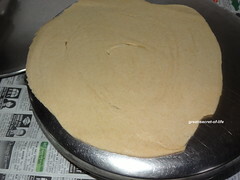 In a wide vessel add the flour, Oil 2 tablespoon, silken tofu and salt and knead the dough using luke warm water. 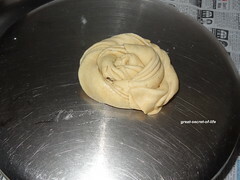 Make it into a pliable soft dough. Keep it covered and set aside for 20 minutes. Take lemon size ball and Roll into big round chapathi. 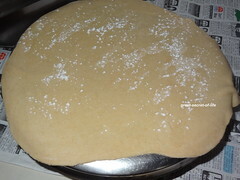 Dust with dry atta while rolling into chapathi as required. 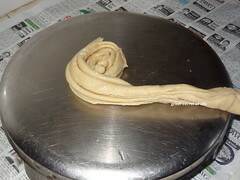 Spread oil on rolled chapathi. Sprinkle some atta around it. 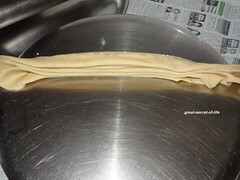 Start making thin pleats out of this and twist the pleated dough. Make it into a pinwheel by rolling from one edge. Make all the dough and keep it aside. When you ready to make the paratha. Heat the flat tawa. 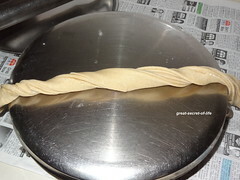 Roll each pinwheel gently into paratha use dry atta if require. Place this on to hot tawa. And apply oil around it. Cook till brown spot appear. And turn to other side. 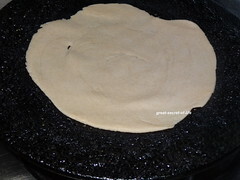 And cook other side and cook till brown spots appear. 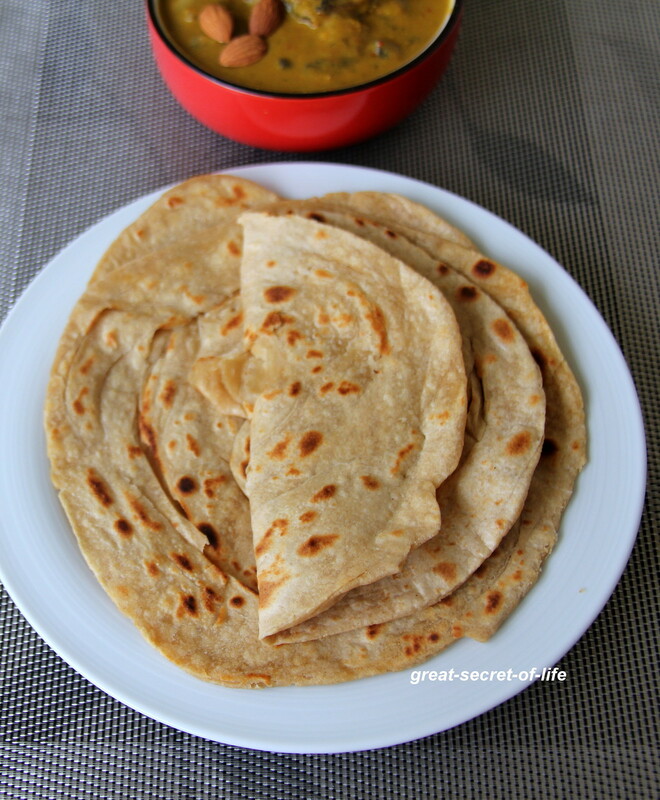 Take it out and crush the paratha with your hands. 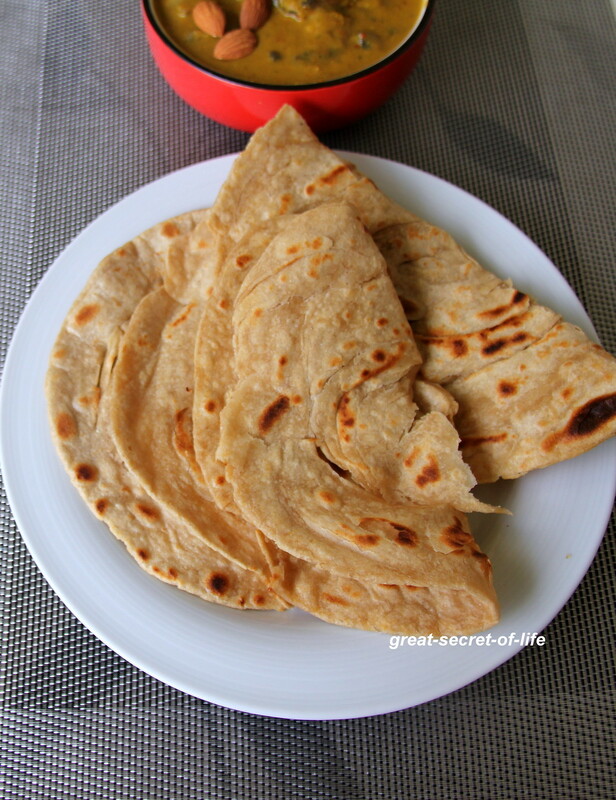 I love these parathas! The use of silken tofu in the dough is new to me. Interesting! delicious paratha it reminds me of the layered kerala paratha. 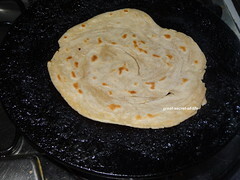 Nice pics n Very well made..
Super parathas, lovely layers and love to have with some paneer masala..